Topical corticosteroids are indicated for the relief of inflammatory and pruritic manifestations of corticosteroid-responsive dermatoses. Topical corticosteroids are contraindicated in those patients with a history of hypersensitivity to any of the components of the preparation. Use may produce reversible hypothalamic-pituitary-adrenal (HPA) axis suppression. May cause local adverse reactions including burning, itching, irritation, and dryness. CLICK HERE FOR FULL PRESCRIBING INFORMATION ABOUT ANALPRAM HC® CREAM 2.5%. INDICATIONS AND USAGE: NAFTIN (Naftifine HCl) GEL 2% is an allylamine antifungal indicated for the treatment of interdigital tinea pedis caused by the organisms Trichophyton rubrum, Trichophyton mentagrophytes, and Epidermophyton floccosum in patients 12 years of age and older. ADVERSE REACTIONS: In clinical trials with NAFTIN GEL 2%, the most common adverse reactions (2%) were application site reactions. WARNINGS AND PRECAUTIONS: If redness or irritation develops with the use of NAFTIN GEL 2%, treatment should be discontinued. 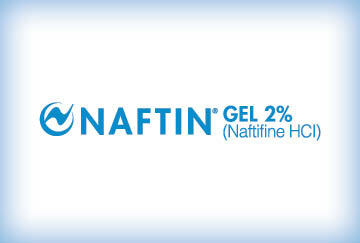 Please click here for full Prescribing Information about NAFTIN GEL 2%. 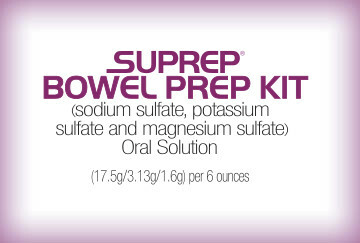 SUPREP® Bowel Prep Kit (sodium sulfate, potassium sulfate and magnesium sulfate) Oral Solution is an osmotic laxative indicated for cleansing of the colon as a preparation for colonoscopy in adults. Most common adverse reactions (>2%) are overall discomfort, abdominal distention, abdominal pain, nausea, vomiting and headache. Use is contraindicated in the following conditions: gastrointestinal (GI) obstruction, bowel perforation, toxic colitis and toxic megacolon, gastric retention, ileus, known allergies to components of the kit. Use caution when prescribing for patients with a history of seizures, arrhythmias, impaired gag reflex, regurgitation or aspiration, severe active ulcerative colitis, impaired renal function or patients taking medications that may affect renal function or electrolytes. Use can cause temporary elevations in uric acid. Uric acid fluctuations in patients with gout may precipitate an acute flare. Administration of osmotic laxative products may produce mucosal aphthous ulcerations, and there have been reports of more serious cases of ischemic colitis requiring hospitalization. Patients with impaired water handling who experience severe vomiting should be closely monitored including measurement of electrolytes. Advise all patients to hydrate adequately before, during, and after use. Each bottle must be diluted with water to a final volume of 16 ounces and ingestion of additional water as recommended is important to patient tolerance. *See savings card information for full terms and conditions. †Void where prohibited, including the State of California.